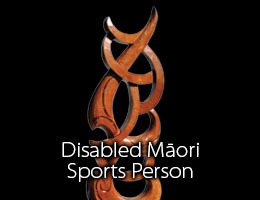 “Te Reo” is a representation of the language used within sports codes around the world and the “Para-Whakawai” depicts the practice within the use of weaponary. 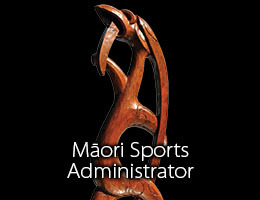 This honour should go to a person or persons’ that has the, ability, skill and knowledge base of all sports codes.To have the passion to deliver and present those skills through the Media. 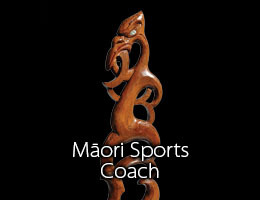 The Māori sports media award – is a commitment by Te Tohu Taakaro o Aotearoa to work constructively with the media to encourage more positive reporting on Māori sports, and to improve the depth and quality of Māori sports reporting. 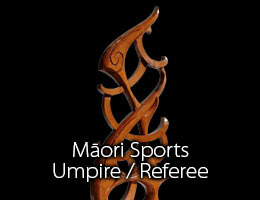 The Māori Sports Media Award of the Year is a commitment by Te Tohu Taakaro o Aotearoa Charitable Trust to work constructively with the media to encourage more positive and expert reporting on Māori sports, and to improve the depth and quality of Māori sports reporting. A finalist is chosen from three categories – print, radio and television – and the premier award winner receives a specially commissioned trophy, to hold for one year. 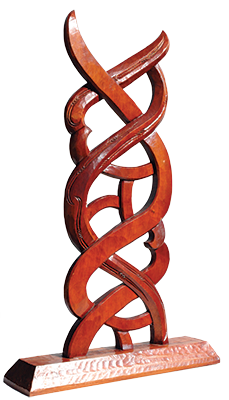 Ko “Te Reo” te mātāpuna o ngā reo e paohotia nei I roto I ngā mahi hākinakina puta noa I te ao, anā, ko te “Para-whakawai” ko ngā mahi whakahoro rākau. Ka whakawhiwhia tēnei hōnore ki tētahi tangata, tāngata rānei kei I ā ia ngā pūkenga koi, pūkenga mātauranga I roto I ngā hākinakina katoa. E ngākaunui nei ia ki te whakaatu I roto I te ao pāpāoho. Ko tēnei taonga e mana ana mai Te Tohu Tākaro o Aotearoa e whakapuaki nei me te ao pāpāoho e nanao nei ki ngā tākaro Māori me te whakapiki I te hohonotanga ki te whakapaoho I ngā hākinakina Māori.